Microsoft will reportedly make it easier for Windows 7 and 8.x customers to schedule or decline the prompt that offers to upgrade their OS to Windows 10. 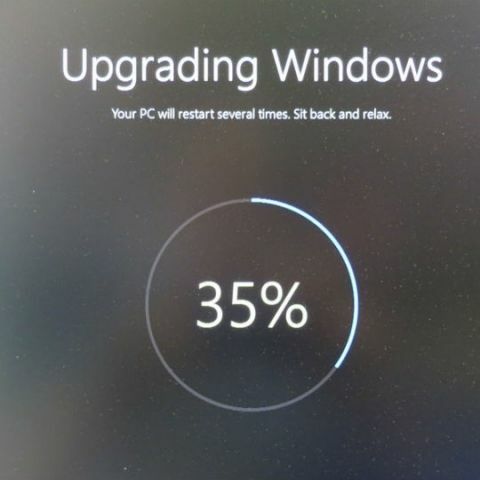 According to a report by ZDNet, Microsoft officials have said that the new update prompt will now come with clearer options to “upgrade now, schedule a time, or decline the free offer.” Further, clicking on the red ‘X’ button will dismiss the prompt and the user would be notified again in a few days. 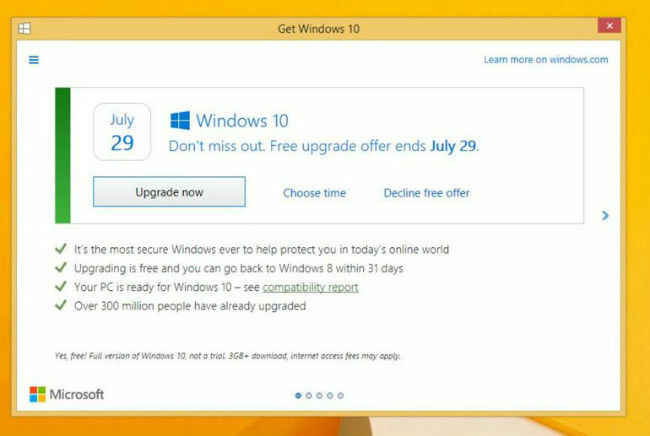 While such a move is definitely appreciated, it may be a bit too late considering that Microsoft's offer for a free upgrade to Windows 10 will expire on July 29. The company announced that after that date, users will either have to buy a device that comes with Windows 10, or purchase the full version of Windows 10 Home for $119 (approx. Rs. 8,000). A few days ago, it was reported that a California-based travel agent had taken Microsoft to court after she claimed that her computer’s performance declined, post an unauthorised updated to Windows 10. The woman, Teri Goldstein, said that she had never heard of Windows 10 and nobody asked her to update the OS. After her formal legal action against Microsoft, the company decided to drop the appeal and pay her $10,000 in damages instead.